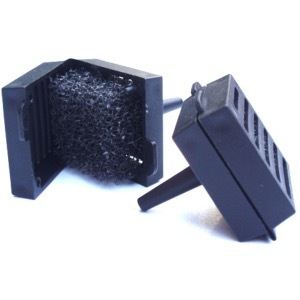 The 6mm filter is supplied with the easy2grow Kit and should be used with the 30 ltr & 47 ltr tanks. It is simply inserted inside the tank once the 6mm pipe is pushed through the 6mm Top Hat Grommet at the bottom of the tank. It can be easily serviced and will float to the top if it comes detached from the tube, this will not happen if you make sure you have pushed the filter firmly into the tube.